Collects FUTURE QUEST PRESENTS #7-12. 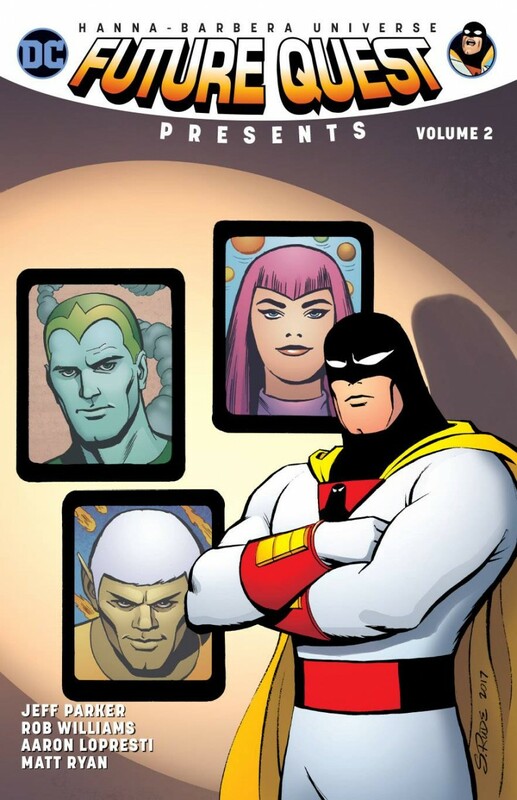 Space Ghost meets the universe’s most wanted thieves-the Galaxy Trio! Plus, mighty Mightor protects the Earth from being forced into joining a galactic empire, and the youngest Herculoid wants to leave his family behind, only to encounter the threat of Animan!